We got the first crib for Chloe Sofia as a gift from our friends. It was a beautiful wooden crib that lasted until she was 7 months old. As soon as she was able to sit up by herself, we started looking for a crib that would last long. 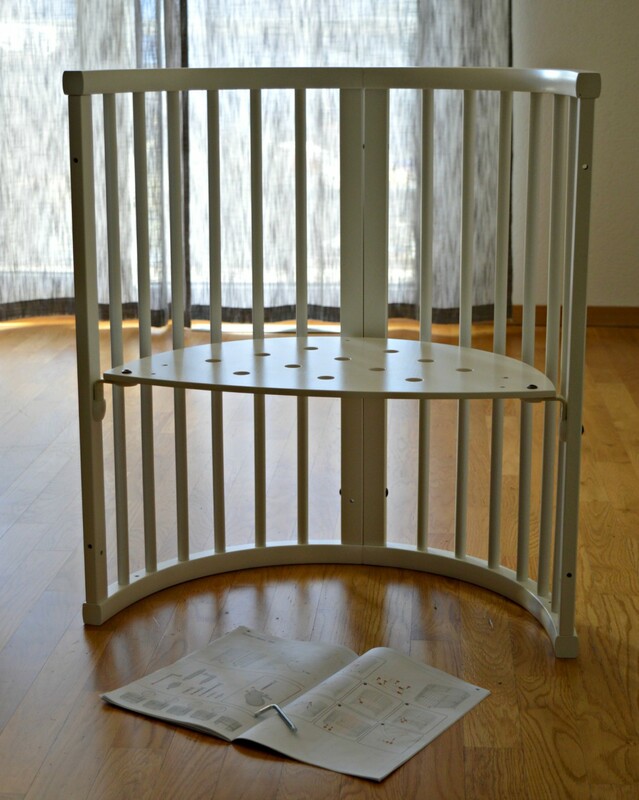 The choice of baby cribs is vast and we were looking for something that will last for years. 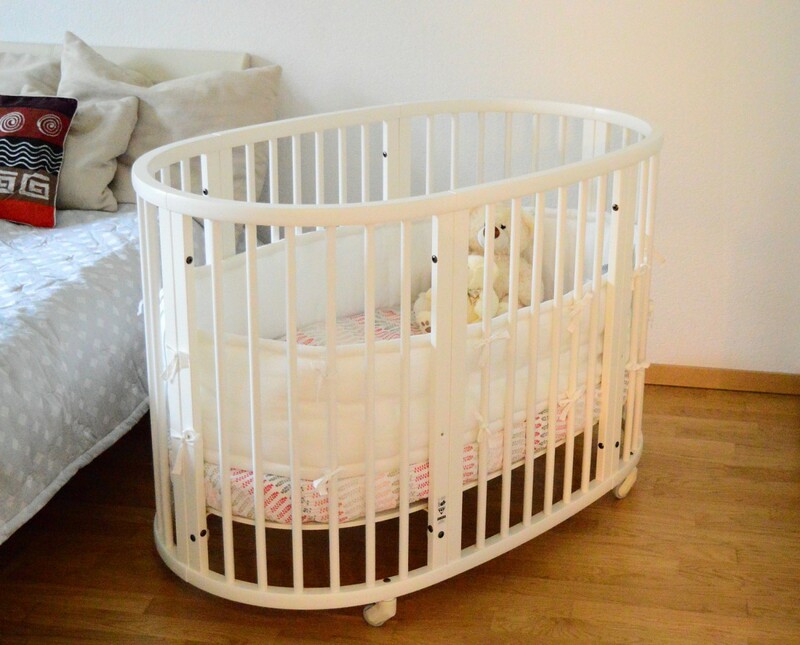 Than I saw this oval, convertible baby crib “Stokke Sleepi Bed” at our friends’ house and fell in love with it instantly. It is beautiful in its simplicity and practicality. The one that we got can last until your child is three years old. It may seem like a big investment at first glance but when you do your math, you realize that you will save money. Instead of buying a new bed when your child grows up, you can get Junior Extension Kit and it will last until your child is 10. It is a bed that grows with your baby, has four adjustable heights and removable side rails so that your baby can get in easily. Knowing that the bed has swivel wheels, I decided to assemble it in our living room and move it to our bedroom afterwards. Yes, you heard right- I managed to assemble it by myself. It took me three hours but if you read the instructions (not like moi), it won’t take you so long. In fact, it is very simple and as long as you follow the instructions, you can’t make a mistake. 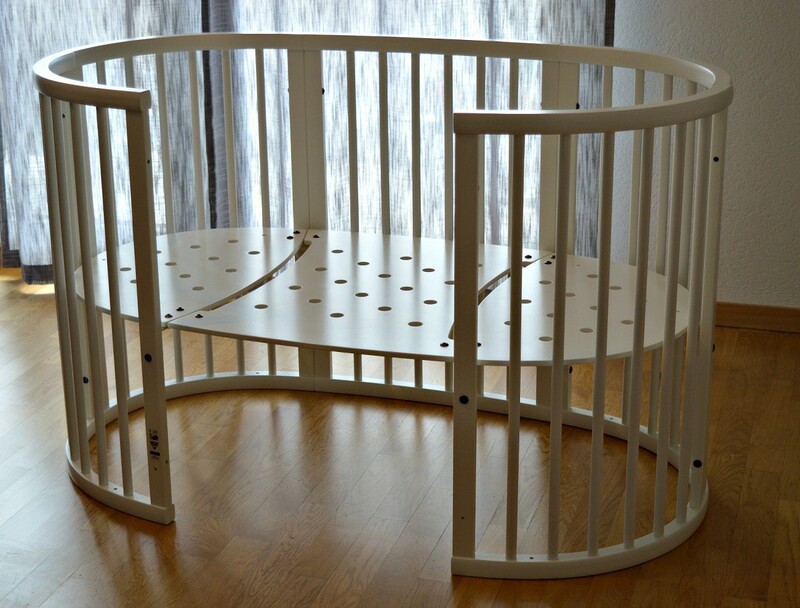 Originally we wanted to place it in Chloe Sofia’s bedroom but as she gets sick all the time and we have to attend to her at night, we out the baby crib in our bedroom. it is much easier this way. It would be lovely if she can sleep in the same room where are her clothes and her changing table but that will have to wait until she can sleep through the night. Next time I will share with you how the baby crib looks after Chloe Sofia started using it. Chloe-Sofia was supervising… And voilà the final look! The mattress can be easily adjusted to four (!) different heights based on the age of your baby. I will share more in my next article. It deserves a separate post. 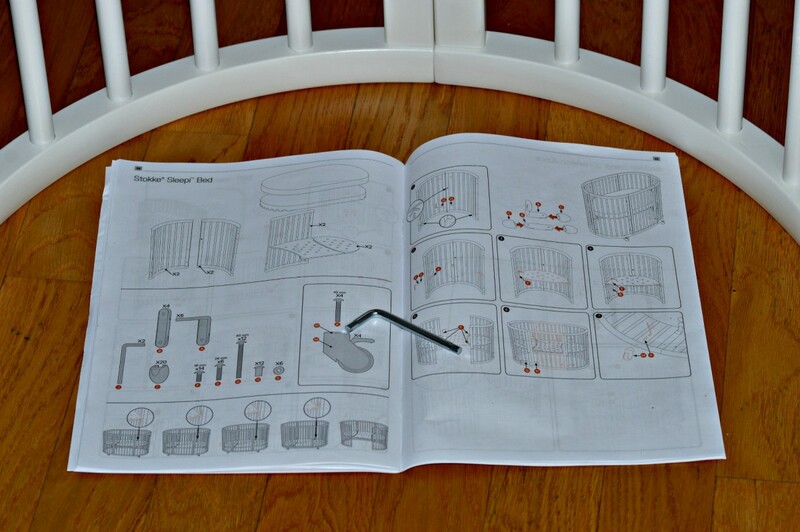 As you see, thanks to Stokke Sleepi Bed I discovered a DIY spirit in me! 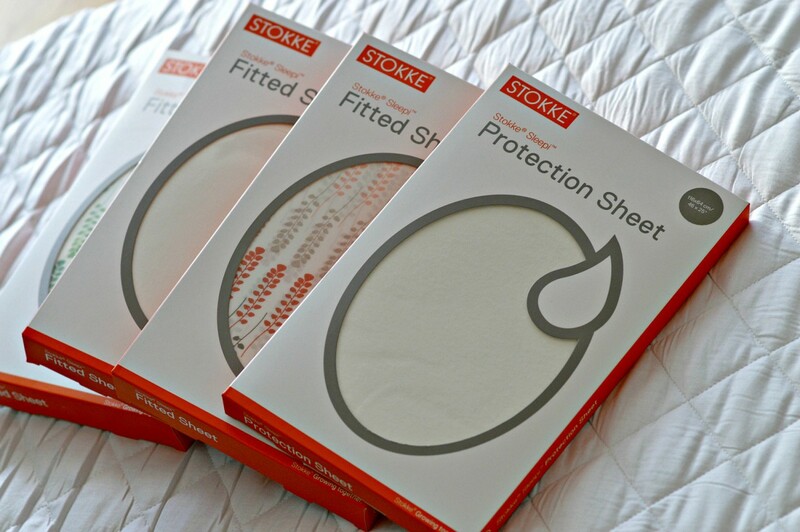 Stokke® Sleepi™ Fitted Sheet in all three colors. 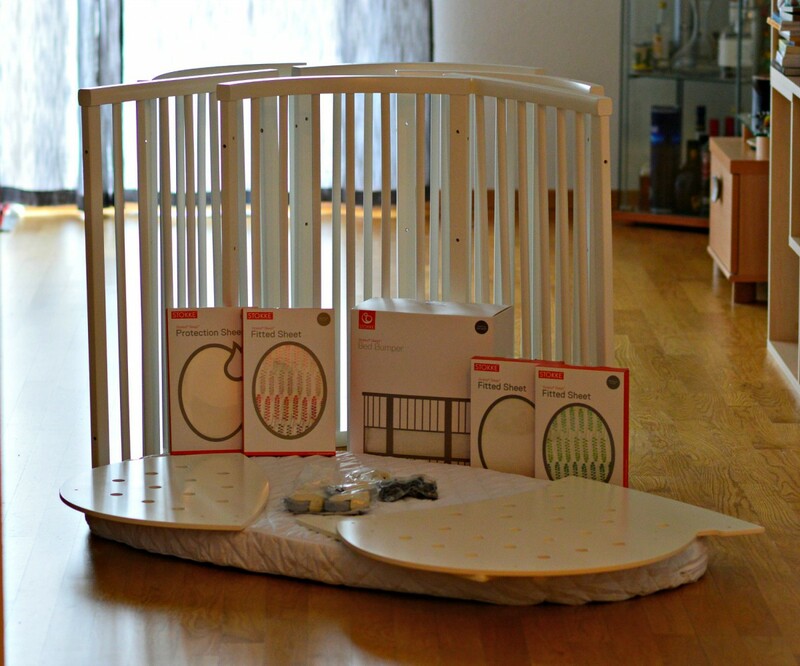 Stokke® Sleepi™ Protection Sheet Oval – very useful. The mattress stays dry in case there is an “accident”. The mattress Stokke® Sleepi™ Junior Matelas. I recommend letting it air for 2-3 days before you put it in. 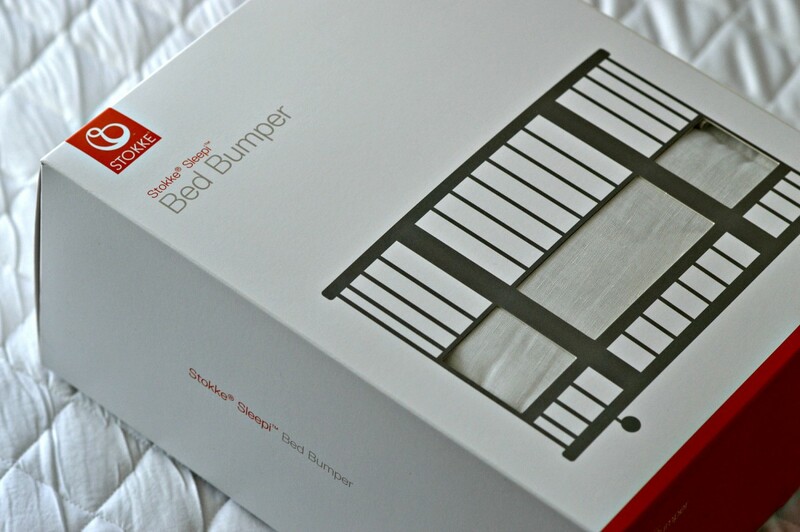 The bed bumper Stokke® Sleepi™ Tour de lit. If your child is as active as Chloe Sofia or/and likes to sleep in funny positions like across the bed or with her head against the rails, it is very practical. This article was sponsored by Stokke. Thank you for supporting the brands that make Currently Wearing possible. Previous PostPrevious Cellulite? How To Get Rid Of It. This is amazing, Miri! How cool is that! Your baby is super adorable! Happy weekend doll! The oval shape is so unique! And Chloe Sofia looks like she enjoyed it. 🙂 She’s so cute! I’ll have to let my sister in law know about this, as they’ll be looking for a new crib for their little guy in a few months tool. 🙂 Thank you for sharing, and hope you’re having a lovely weekend! Lovely crib. Looks really nice for your baby. 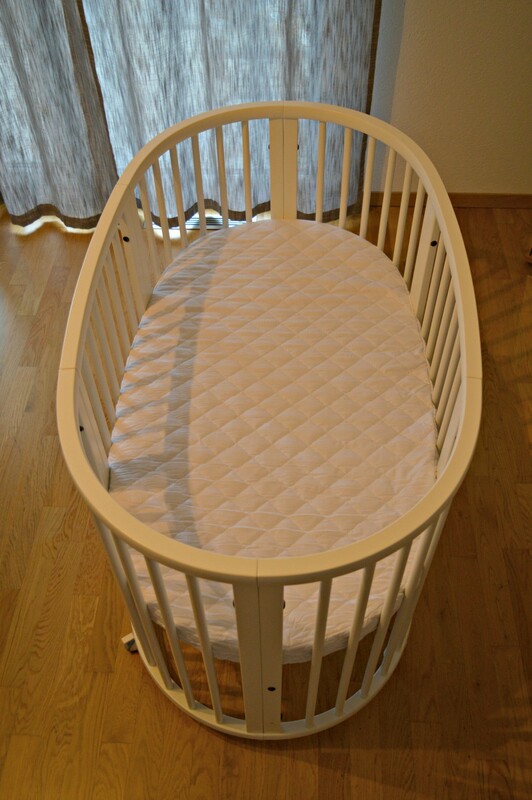 The crib looks so cute and durable . This baby crib is so cute! Also I’m loving the beautiful photos! I love this one! Such a unique piece, and it’s great it’s versatile. Aww that’s a really nice crib, haven’t seen something like it here. Your baby is so cute. It really is so pretty! I love the oval shape!